b. the communications agency have been appointed to handle the UK Consumer PR and Communications for Feelunique. We’re excited to work with this prestigious beauty retailer. Founded in 2005, Feelunique has grown to become Europe’s largest independent online beauty retailer. They have an unrivalled choice of more than 30,000 products from 500 leading beauty brands across beauty, makeup, skincare, haircare, fragrance, accessories and electricals. Feelunique is a global retailer, shipping to over 120 countries worldwide. Feelunique has over 130,000 site visits and sells more than 15,000 products every day, with 65% of sales coming from global gen Z and millennials under the age of 35. 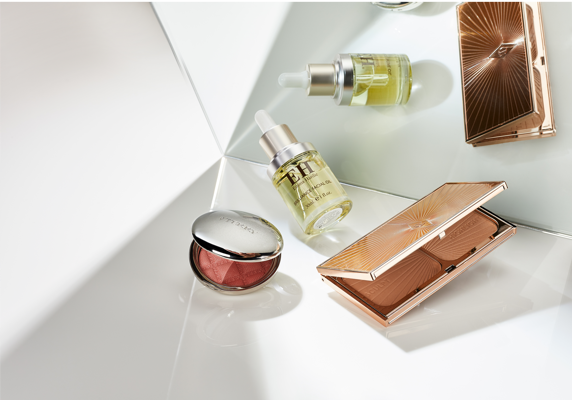 Their unrivalled assortment spans new beauty and emerging brands from Anastasia Beverly Hills, Charlotte Tilbury, and NYX to wellness-conscious brands such as The Ordinary, Organic Pharmacy and Ren. This is in addition to luxury iconic brands including Chanel, Dior, Tom Ford and NARS. With this portfolio of premium brands, Feelunique is unmatched as the only online beauty “pure player” to curate such a premium assortment across all beauty categories. Award-winning and one of the fastest growing beauty websites in the world, Feelunqiue boast a rapidly growing international beauty community of more than 1.3 million people. With the innovative use of technology, Feelunique is breaking down borders and changing the way consumers experience buying beauty products online.